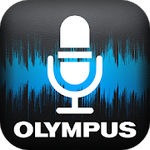 Olympus has just released the Olympus Android app, Olympus Dictation for Android, version 1.3.1 which has been posted on the Google Play store and is now available for download. This contains several bug fixes from it predecessor, v1.3.0. For more information, contact you friendly neighborhood CES Professional!